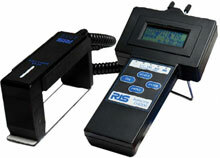 RJS GS D4000 - Inspector Series, Auto Optic (3,6, 10, 20 mil) - North America. Ideal for customers who need FULL ISO/ANSI AND need full GS1-128 symbology support AND do NOT inspect I-2 of 5, Code 3 of 9, or Codabar symbologies in North America. The RJS 002-7841 is also known as 002-7841	or 0027841	.